New research study “Global Medical Devices Survey 2012–2013: Market Trends, Marketing Spend and Sales Strategies in the Global Medical Devices Industry” developed by iCD Research has been recently published by Market Publishers Ltd. According to the research, across the world medical device industry, 61% of respondents are more optimistic about revenue growth for their company over the next 12 months. Overall, across the world medical device industry, 61% of respondents are more optimistic about revenue growth for their company over the next 12 months. Of all respondents, 83% from the ROW and 70% from the Asia-Pacific are optimistic about revenue growth over the next 12 months, as compared to 60% in North America and 53% in Europe. 77%, 54% and 31% of industry respondents view ‘customer retention’, ‘customer acquisition’, and ‘lead generation’ respectively as key marketing aims for global medical device industry suppliers. In 2012, the key strategy that industry suppliers plan to employ is to ‘focus sales efforts on generating new business’, as identified by 53% of respondents. According to the survey results, critical success factors have changed slightly since 2010 and 2011, and although the leading critical factor of the ‘ability to target specific audience niches’ remained in pole position throughout 2010–2012, the importance of ‘flexibility in customizing services’, and ‘thorough reporting and analysis’ has increased significantly. 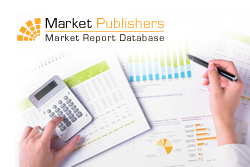 New research study “Global Medical Devices Survey 2012–2013: Market Trends, Marketing Spend and Sales Strategies in the Global Medical Devices Industry” developed by iCD Research has been recently published by Market Publishers Ltd. The study analyzes how medical devices industry companies’ media spend, marketing and sales strategies & practices and business planning are set to change in 2012–2013. It features the current size of the marketing and advertising budgets of world medical devices industry suppliers and how these suppliers’ spending will change, providing insight into global marketing behavior; as well as identifies future growth of buyers and suppliers, M&A and investment expectations. The research does not only grant access to the opinions and strategies of 174 business decision makers and competitors, but also examines their actions surrounding business priorities. Information covered is categorized by region, company type and sizes.